Member Only Specials at the Co-op! 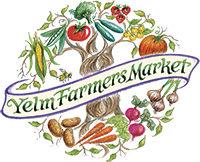 Starting this month, Jan 2013, you are going to start seeing regular promotions in the Yelm Food Co-op for members of the new Yelm Cooperative. Be sure to watch for emails and posts here, as well as flyers and signs in the store. Here’s the current promotional items for yous hopping pleasure!